Likewise, reportedly, a gift from Princess Bernice Pauahi Bishop to Queen Liliʻuokalani was a bracelet using Victorian scroll, yet traditionally Hawaiian with the word “Aloha” and wrapped with a band of human hair. Some have suggested (reportedly, incorrectly) that the Hawaiian heirloom jewelry (primarily the gold bracelets with black/raised lettering) started as gifts to Queen Kapiʻolani and Princess Liliʻuokalani when they attended Queen Victoria’s Golden Jubilee in 1887. Gold jewelry adorned with black enamel was already traditional in England when Queen Victoria turned it into “mourning jewelry” after the death of her husband, Prince Albert, in 1861. It turns out Princess Liliʻuokalani had the English-style mourning jewelry at least 20-years before she traveled to England in 1887 to attend the Jubilee. In Hawaiʻi, Crown Princess Liliʻuokalani, perhaps empathizing with the widow Victoria, took a liking to the jewelry style and had bracelets made for herself. In the early-1860s, Liliʻuokalani wore a bracelet that was a precursor of the Hawaiian heirloom jewelry worn by women in Hawaiʻi and elsewhere today. Its textured surface is embellished with the Hawaiian phrase, “Hoomanao Mau” (Lasting Remembrance,) which is rendered in black enamel. But the Queen did not save these treasured bracelets for herself. In 1893, Queen Liliʻuokalani presented a gold enameled bracelet to Zoe Atkinson, headmistress at Pohukaina Girls School. The inscription proved to be prophetic: Just days later, the Queen was forced to abdicate her thrown and the Hawaiian Monarchy had come to a sudden end. Atkinson, who was an active socialite and the event coordinator for the Queen, became the envy of many young ladies, who then asked their mothers for engraved bracelets of their own. The tradition has since continued throughout the generations. Hawaiian heirloom jewelry has been given as gifts for special occasions such as birthdays, graduations and weddings. Over the years, the styles (and prices) changed. By the 1980s they were manufactured using motorized cutters and raised lettering was started. In the 1990s the engravers latched on to the idea that the designs could be extended to the edge of the bracelets and then scalloped around. Although machinery made production more diverse and faster, many of the engraving and enameling was done by hand, as it had been done since the 1860s. In 2008, with the advent of laser cutting machines, new lettering could be achieved, with lettering being a different color than the background. Today, there is Hawaiian heirloom jewelry from traditional to contemporary – not just folks in Hawaiʻi, but thousands of people from all over the world embrace the Island jewelry. So, what happened to the Queen’s bracelets? It was the Queen’s wish that when she died, that her jewelry was to be sold and the proceeds used to fund an orphanage. The “Hoomanao Mau” bracelet and another marked “R. Naiu” were inventoried after her death and auctioned for $105 in 1924. In 2009, Abigail Kawananakoa purchased and donated the “Hoomanao Mau” bracelet to the Friends of ʻIolani Palace; it is part of the display in the Palace Gallery. It is the image, here. Hānaiakamalama (Lit., the foster child of the light (or moon,)) now known as the Queen Emma Summer Palace, was the “mountain” home of Queen Emma, wife of Kamehameha IV. Queen Emma inherited it from her uncle, John Young II, son of the famous advisor to Kamehameha I, John Young I, in 1857. Queen Emma was born Emma Naea in Honolulu on January 2, 1836, the daughter of a British aristocratic woman and a Hawaiian high chief. In his first speech as king, Kamehameha IV stated the need for a hospital to treat the native population. Due to introduced diseases, the Hawaiian population had plummeted, with extinction a very real possibility. Queen Emma used the home as a retreat where she could escape from the heat of Honolulu into the coolness of Nuʻuanu. It’s about 5-miles from Downtown Honolulu and 10-miles from Waikīkī. It was through this land that Kamehameha the Great marched during what would become the Battle of the Nu‘uanu in April 1795. Coincidently, Kamehameha was aided by foreigners, including John Young, Queen Emma’s grandfather, who provided the cannons and tactical know-how used in the battle. This land, a portion of a grant known as Kaukahōkū, was originally designated as Fort Land; that is, it was set apart for the use of the Fort, probably as agricultural land. 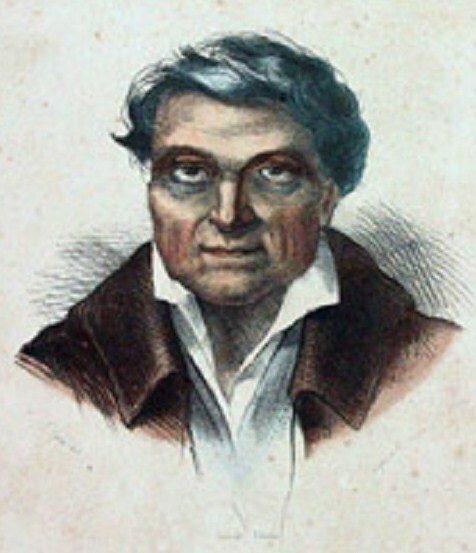 However, sometime in the 1840s Kekuanaoa, Governor of the island of Oʻahu, leased the land for private use. The Summer Palace was modeled in the Greek Revival style. It has a formal plan arrangement, wide central hall, high ceilings and floor-length hinged, in-swinging shuttered casement window. The large single room in the rear of the home, also known as the Duke of Edinburgh Room, was converted from a lanai in 1869, to prepare for the reception of the Duke during a visit to Hawai‘i. The kitchen was a small structure apart from the house. Baths were taken through large tubs brought into the bedrooms by servants and filled with buckets of hot and cold water. Three outhouses served the occupants; one reserved for the King and Queen, one for guests and another for servants. The Summer Palace was saved from demolition by the Daughters of Hawaiʻi. 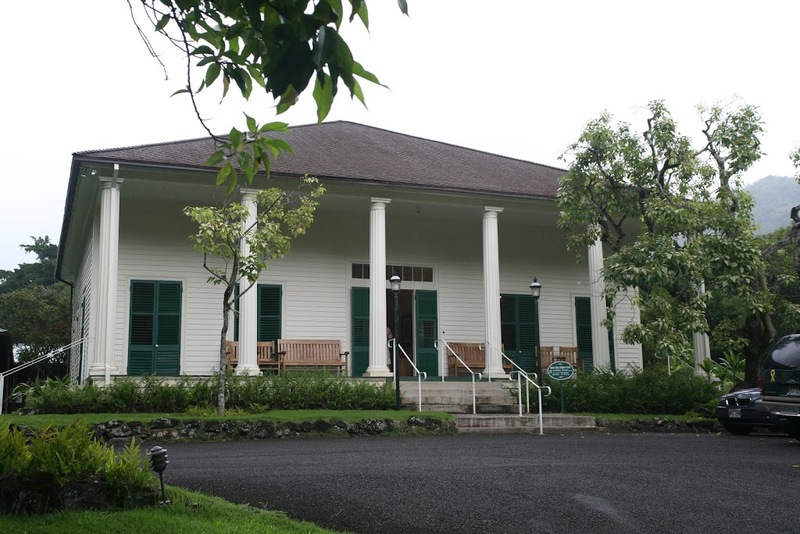 Today, the Daughters preserve and maintain this residence and the Huliheʻe Palace in Kailua-Kona as museums open to the public. The property is open to the public, daily 9:00 am–4:00 pm; closed major holidays; Admission: Adult $6, Child 17 and under $1, Seniors $4; reservations required for groups of 20 or more. The image shows Hānaiakamalama – Queen Emma Summer Palace. In addition, I have included other images of the property and Queen Emma in a folder of like name in the Photos section on my Facebook page.